Two unidentified perpetrators attacked a Kyiv man, seizing a bag with a large sum in foreign currency, the Department of Communication of the National Police in Kyiv told an UNIAN correspondent. 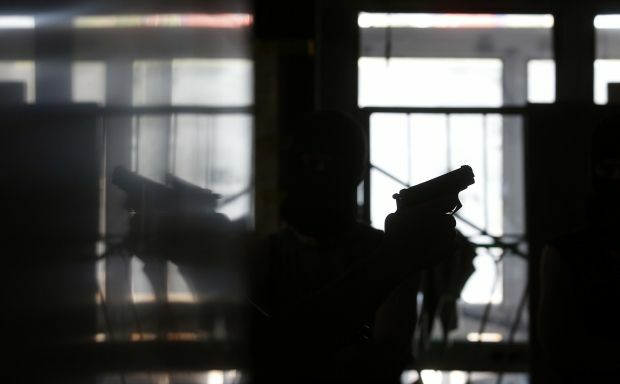 It has been established that a 25-year-old man was assaulted by two men as he came out of an apartment complex in the capital’s Desnianskiy district. According to the victim, one of the attackers fired at him, wounding him in the leg. The attackers seized the man’s bag with money in it and fled. The victim claims there was $365,000 in the bag. Read alsoCEO of Caparol Ukraine shot dead outside Kyiv – media (Photos)The man received medical treatment on the scene. The district unit of the Desnianskiy district in Kyiv has the investigation ongoing. Law enforcement officers are establishing the type of weapon used by attackers, continuing other investigative measures aimed at identifying and arresting the individuals who have committed this criminal offense, the report said.